Keith Templeton edits The Farrier Guide to education and employment, a resource for farriers that features a worldwide directory of horseshoeing schools, informative guides to finding the right school and working as a farrier as well as interviews with experienced farriers. With more than 25 years of experience horseshoeing, teaching, and riding, Bryan Farcus educates horse owners around the country through regular hoof care demonstrations and horse clinics. The Farrier Guide caught up with Farcus to ask him about the basics of hoof care and how horses and owners benefit from the services of a farrier. Today’s farrier is not necessarily your granddaddy’s blacksmith. One main reason for this is that the use of our modern day horses is one of recreation, rather than one of work. Back in the day, to shoe a horse meant that you had to produce many of the tools and shoes used from scratch. To be a farrier (shoer of the horse), you had to also be a metal/iron working specialist. These days, the job of a farrier is exclusively focused on the health and routine care of the horse’s feet. 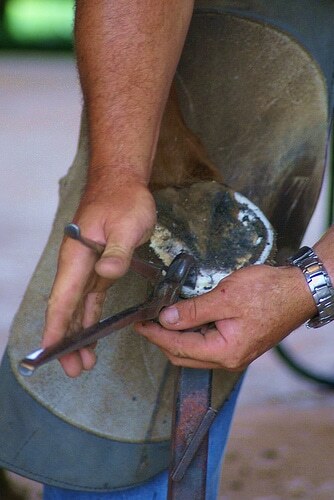 Readily available prefab shoes and specialty tools have made it possible for modern farriers to specialize in a particular area of shoeing, working only on a single type or breed of horse. Where your granddaddy had to be a “jack-of-all-trades” just to shoe horses, today’s farrier now has the opportunity to be a “master-at-one” of his or her choosing. What are some of the challenges facing farriers today? Probably the single biggest challenge farriers face today is to be the best communicator we can be. Most of a farrier’s clientele will consist of people who have had no previous exposure to horses; they did not grow up on a farm. Therefore, farriers mustn’t assume that they know certain things and should take the time to answer all their questions. The success of today’s farrier will depend on how well he or she can communicate and educate their clients. How do horses benefit from the services of a farrier? All horses, regardless of age, breed, working status, or hobby will live a longer, happier life if they have routine farrier visits. For working horses, this may mean having certain support shoes applied to help provide comfort for the work they are expected to do (pulling/riding). For leisure/hobby horses that are more of a family pet, they too will be healthiest if a farrier is routinely trimming their hooves for balance and prevention of the many natural diseases that can arise, such as bruising, bacteria or fungal infections of the hoof wall, or abscessing of certain damaged hoof tissues. Most horses will do best on an average of a six- to eight-week farrier schedule, based on their level of activity. Aside from providing better health for their horses are there any other reasons why a horse owner would want to hire a farrier? It makes good economic sense. Today we spend approximately three times more per horse than we did 40 to 50 years ago. Most of us consider our horse to be a part of our family. If you were to ignore routine preventative hoof care or try and save a few pennies by leaving the care of your horse’s feet to an unskilled person, the long term cost of any emergency care and rehabilitation can be overwhelming. To the horse owner wanting to provide hoof care for their horses by themselves, what would you recommend? On this topic, I may differ with some of my colleagues. I think that it’s reasonable and acceptable for any horse owner to want to perform the basic hoof care needs for their own horse. I always recommend, however, that they take the time to learn the basics from a reputable professional or an accredited program. I’m adamantly opposed to anyone attempting to learn the mechanic of trimming and shoeing through an online course. I also emphasize to anyone considering doing their own farrier work, that they do just that… that means their own horses and NO others. I’ve witnessed some who have gotten in “over their heads” when they’ve been talked into doing horses for a friend. This is most often a good way to make enemies! Are there any breeds of horses that require more close attention to their hoof care? The need for proper hoof care is not necessarily breed-specific. All horses will always be better off if one pays closer attention to their hoof needs. I will add that most of our horses that are now kept in captivity will, by virtue of being restricted to our human “pre-selected” environments, need more of our “tender loving care.” This is not a bad thing. We should realize and actually enjoy the opportunity to give our horses the care they deserve. Any that require less attention than the norm? Perhaps those so-called “wild” horses. However, as I mentioned earlier, even those animals could benefit from a helping hand at times. If you consider the fact that today’s “wild” horses may act wild but they don’t actually live as those authentic wild horses did centuries ago. They are not without human influence. 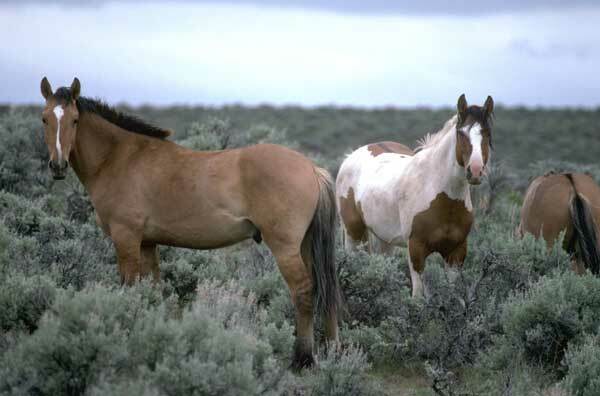 Take for example the horses of the Bureau of Land Management. These horses are routinely rounded-up and the herds are culled to try and preserve them in the restricted areas that are determined by us humans. 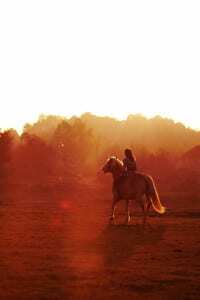 What are some preventative measures horse owners can practice and what are some signs they can look out for in their horses to avoid problems down the road? I think a good word of advice in order to prevent most hoof problems is… “a hoof pick a day can keep the doctor away.” Another good rule is that if your horse looks uncomfortable, he probably is, and in many cases it could be something that originates from his feet. Signs of red discoloration on the outside or undersides of lighter-colored hooves can indicate a recent injury. The area that joins the outer hoof wall to the bottom (the white line) or the ground surface of the hoof (sole) may appear distorted or even separated, which could be an early indicator of something more severe happening within the internal, sensitive tissues that make up the foot. 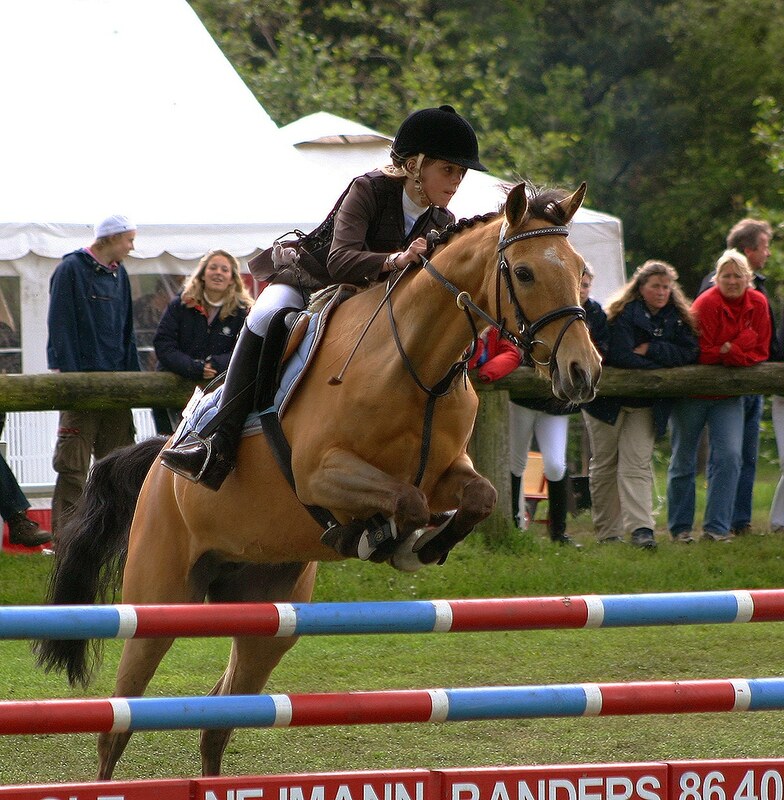 If you suspect anything unusual it’s always a good idea to contact your vet and/or farrier. Never underestimate the benefit that you and your horse can have when you are committed to developing a lasting relationship with a farrier that you get to know and trust. You and your horse will be much happier knowing that a good farrier is only a phone call away.